Spectacular scenery, exciting trails that wind their way alongside the region’s most stunning waterways and races that appeal to all abilities – the Riverrun Trail Series. The Riverrun Trail Series allows competitors to explore four of the region’s recently developed tracks. The tracks are all lakeside or riverside and all are challenging in their own respects and will provide a memorable experience for athletes, from first timers to experienced runners. The Riverrun Trail Series begins 1st October 2011 and concludes on 19th May 2012 with four races making up the series. There are prizes for place getters and plenty of spot prizes to ensure everyone’s in with a chance of winning. Enter one or enter the whole Series – the overall winner of the Series will earn the John Pawson Trophy, named after inspirational local John Pawson who was a dedicated advocate for the environment and the development of the trails. The Riverrun Trail Series is an off-road running series designed to showcase the spectacular lakeside and river tracks in Lake Wanaka. 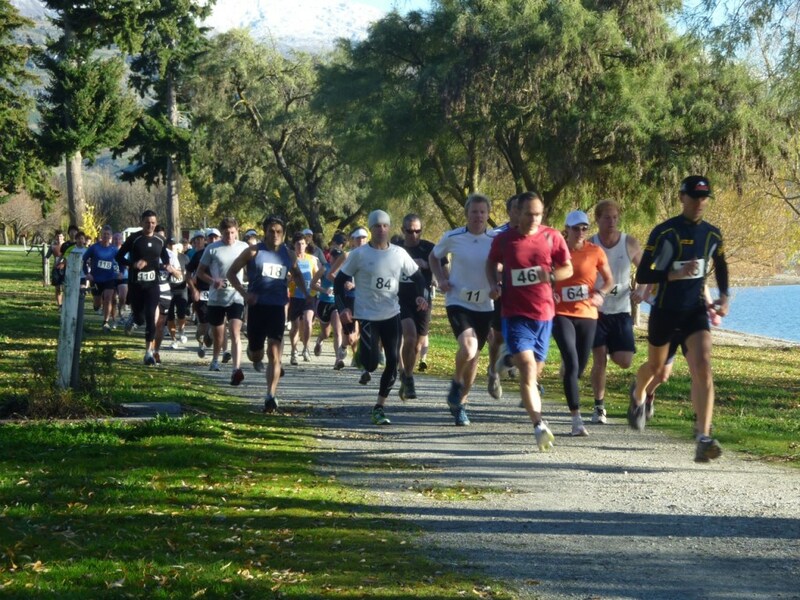 The first event is on the 17 October, on the Hawea River Track and offers a 5km, 10 km and half marathon option. The Riverrun Trail Series will allow competitors to explore three of the region’s recently developed tracks – the Hawea River Track, the Upper Clutha River Track and the Glendhu Bay Track. The tracks are all lakeside or riverside and all are challenging in their own respects and will provide a memorable experience for athletes, from first timers to experienced runners. The Riverrun Trail Series begins October 2010 and concludes in May 2011 with three races making up the series. There are prizes for place getters and plenty of spot prizes to ensure everyone’s in with a chance of winning. Enter one or enter the whole Series – the overall winner of the Series will earn the John Pawson Trophy, named after local John Pawson who was the first chair of the Upper Clutha Tracks Trust and a driving force behind the creation of the tracks.